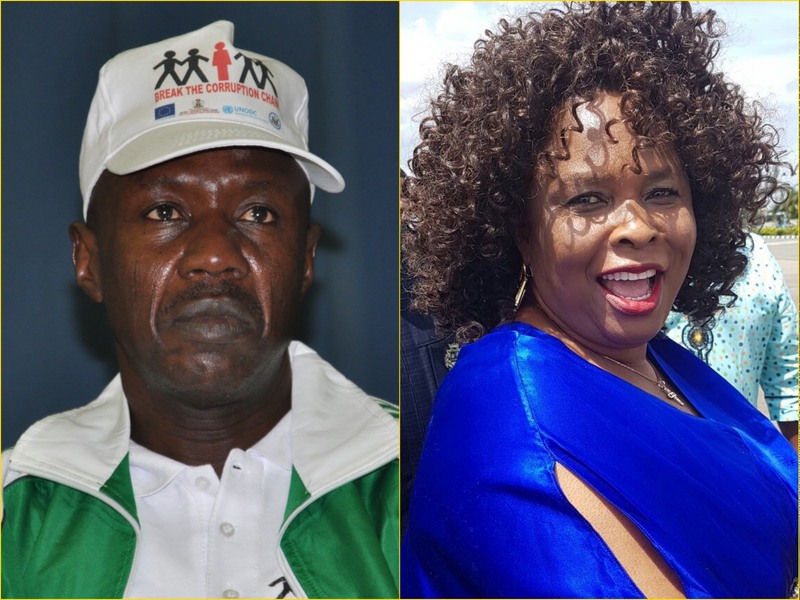 The acting chairman of Economic and Financial Crimes Commission (EFCC), Ibrahim Magu, has been summoned by the Senate over the freezing of seven bank accounts of former first lady, Patience Jonathan. The summons was in respect to a petition Patience Jonathan wrote to the lawmakers through her lawyer, Charles Ogboli, alleging that the EFCC and the NDLEA had at differed times subjected her to dehumanizing treatment. In the petition, counsel to former first lady said the seven accounts of some companies of his client that were frozen include, Pluto Property and Investment Company Limited, Seagate Property Development Investment Company and Transocean Property and Investment Limited. Ogboli accused the EFCC of freezing the former first lady’s accounts and that of her relatives without any court order. He said the action of the anti-graft agency led to the death of Mrs Jonathan’s brother, Lazarus Eware. In respect to the petition, lawmakers summoned Magu and the managing directors of some banks to appear before the senate committee set up to hear the complaint of the former first lady over the freezing of her accounts. The managing directors of the banks were told by the chairman of the committee, Anyanwu, that they must appear in person as the committee will not accept any representative. Meanwhile, the minister for information and culture, Alhaji Lai Mohammed, has revealed that the sum of $6.2 billion public fund was stolen from the national coffers. The minister said the money was stolen by 55 people but refused to list the names of the people who siphoned the public fund. Lai Mohammed made this known on Aljazeera, when speaking on a video called Kleptocracy Tour, a tour organised by anti-corruption campaigners in the British capital to expose money laundering by foreigners. Mohammed said if only one third of the stolen money was returned to Nigeria it will build 600 kilometres of Roads, thirty seven hospitals, twenty thousand housing unit and train four thousand kids from primary to university level. Ibrahim Magu, has been summoned by the Senate over the freezing of seven bank accounts of former first lady, Patience Jonathan.